JTM Signs are an established event signage company with many years’ experience in providing all manners of event signage ranging from small to large events. 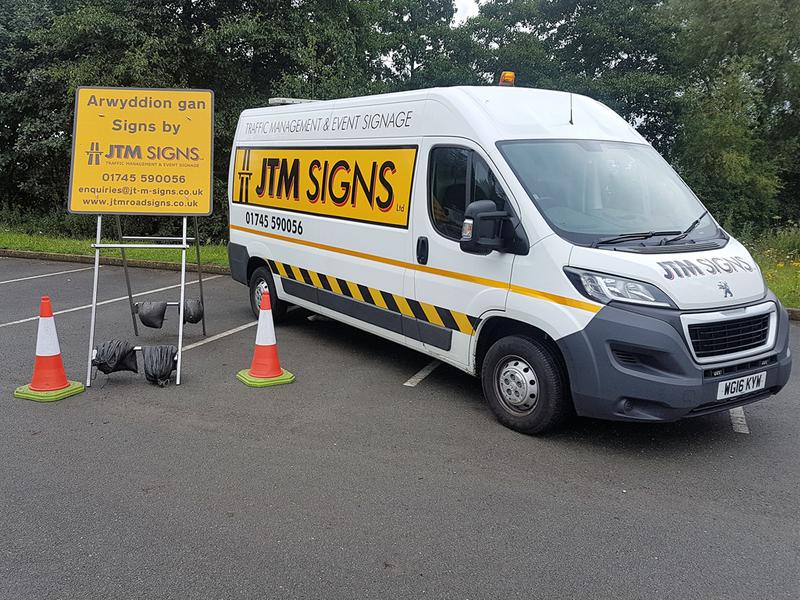 Over recent years JTM Signs have provided event signage to local carnivals and fairs as well as larger events such as music concerts, festivals and Motor Sport rally’. 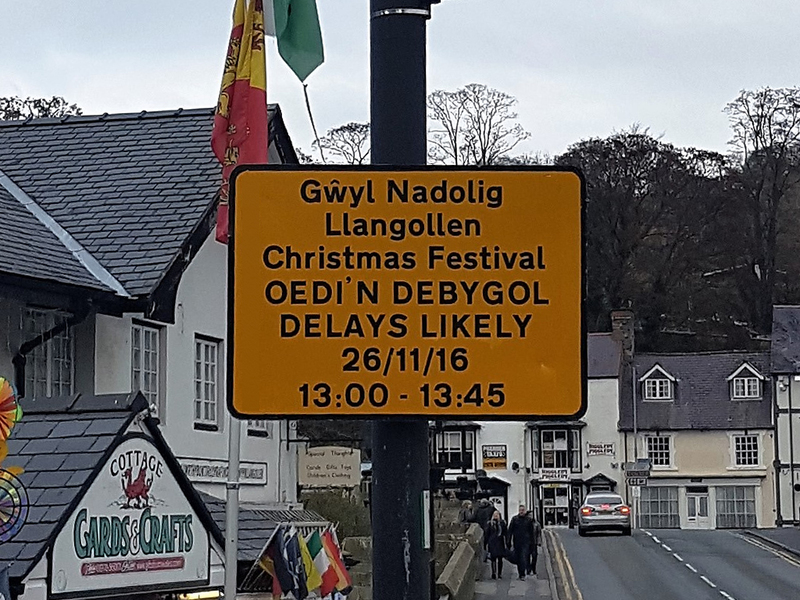 JTM Signs understand there are many regulations regarding event signage and are able to support and advise providing a full consultancy service. 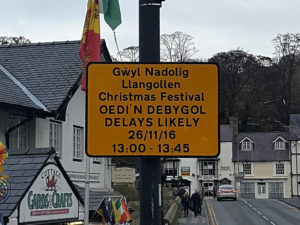 The consultation includes free advice on traffic management requirements, liaising with the local authority, police and attendance of site meetings in the lead up to the installation of the event signage. 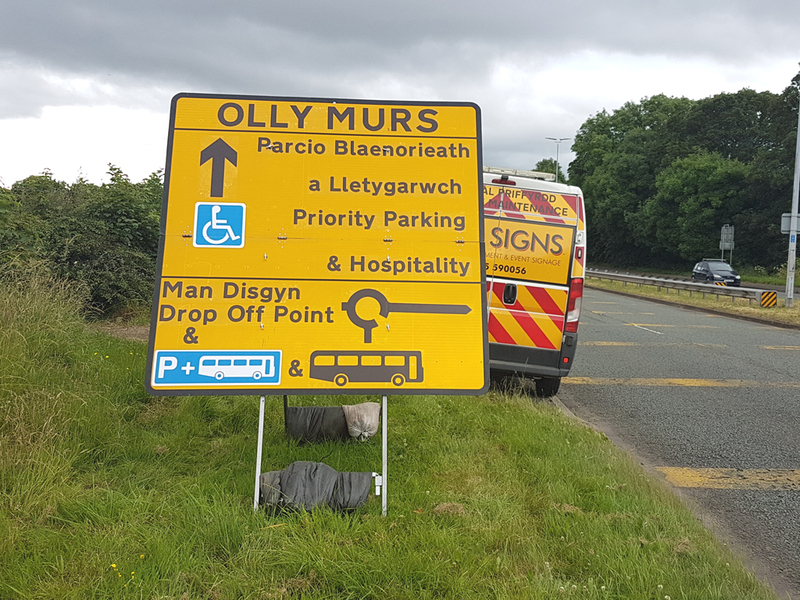 JTM Signs are a trusted and reliable event signage company with a number of years’ experience in regularly providing event signage to a various sized events across North Wales, Wrexham, Chester, Cheshire and The Wirral. 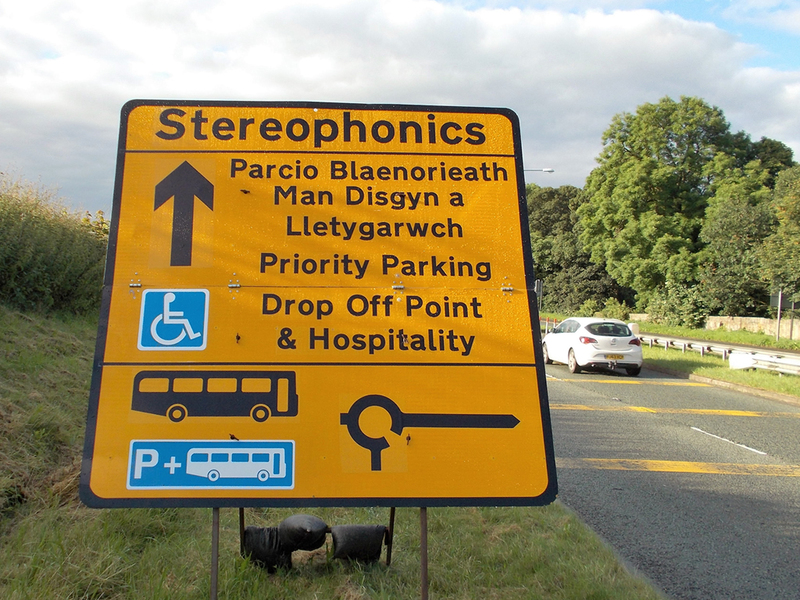 Please don’t hesitate to get in touch if you have any queries relating to any aspect of event signage hire services. 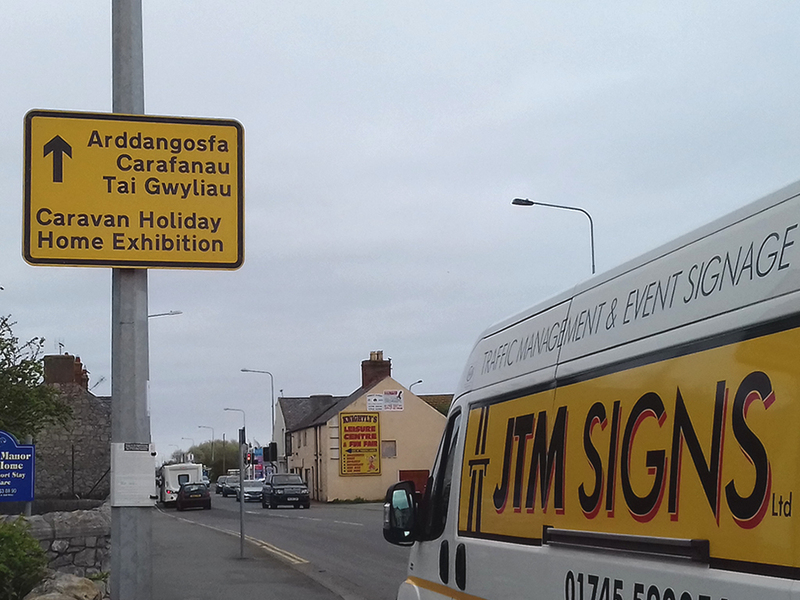 JTM Signs have experience in catering for various events including Marathons, Air Shows, Agricultural Shows, University Open Days, Motor Sport Rally’, Cycle Races, Parades and fairs, Carnivals, Fun Runs and County Shows however are not limited to the listed. All signage is produced in house which enables a quick response to the customers’ requirements and the capacity to react to any changing situation quickly and efficiently. Do you just work in North Wales? Do you just provide signs and cones? 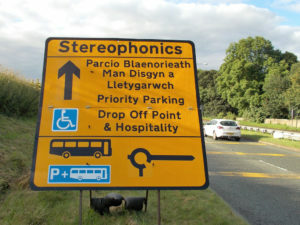 We do provide Signs and Cones but we also provide much more than that. We are more than happy to attend site or planning meetings in order to advise and assist you with any issues you have regarding traffic and pedestrian movements. Do you just do small events or can you handle larger events? Q: Do you supply bilingual signs? 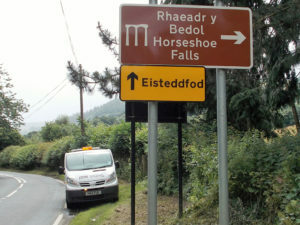 A: Yes we offer a complete English and Welsh sign translation service solutions with full English and Welsh information. All our signs are road legal and are to current legislation. Q: Are your sign installers qualified? 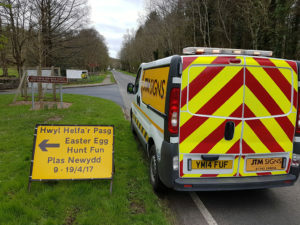 Yes, all our Sign Operatives are fully qualified to LANTRA standard, which is the recognised leading award body for Traffic Management Operative training. How do I know if your company operate in a safe manner? We take the Health, Safety and Wellbeing of our Staff, Clients and General Public very seriously. We are accredited by a number of industry recognised bodies, including CHAS (Contractors Health And Safety Assessment Scheme), Constructionline, Exor and Avetta. Do you supply AA Road signs? We offer fully highway compliant signs, these are sometimes referred to as AA signs but we do not provide signs that are AA branded. 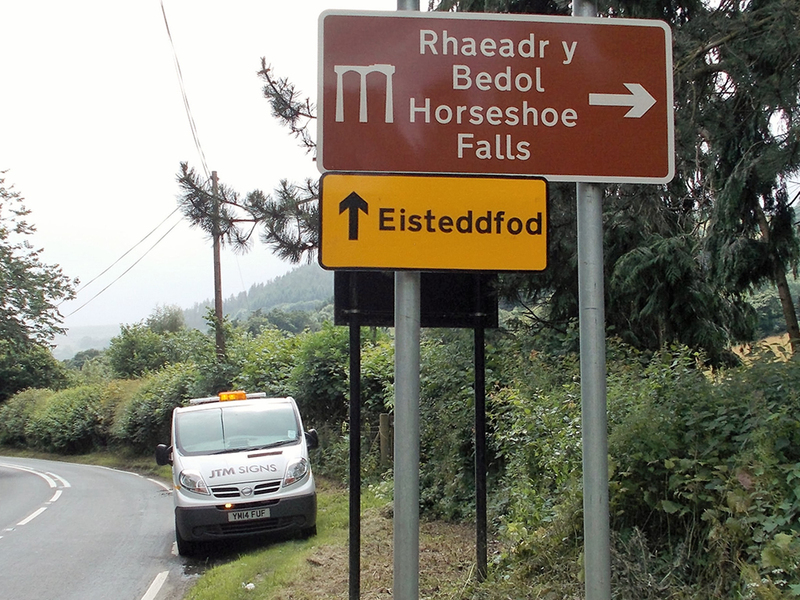 AA signs are signs produced by the company The AA, our signs comply with the same legislation for use on roads.